Because of a rigorous schedule and impatience, I rarely use coupons, yet in my mind, keep thinking I'd like to use more. With this thought process and lack of actual coupon usage, I discovered something in my home that baffled me and my 4-year-old daughter, Sophie. 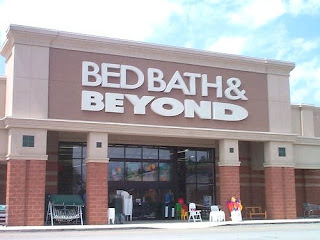 When I think back to the last time I was at Bed, Bath & Beyond, it was when I was on a quest for cocktail picks, which are harder to find than I thought they would be and necessary for the sophisticated lifestyle I lead. Of course, when I bought the cocktail picks, I had no coupon with me. My half-hearted attempt to convince the register lady that I had multiple coupons at home that should apply to my purchase did not work.